Pancake quesadillas sound strange—until you realize that I'm talking about flaky, chewy, Chinese-style scallion pancakes here. Thin, crispy, and super-savory, they're more like the onion-y love child of a croissant and a tortilla than they are the American breakfast food. And when you pack them with marinated bulgogi-style steak and two types of cheese, it makes total sense. A marinade based on soy sauce, sesame oil, and vinegar delivers tasty and tender beef. Rolling the scallion pancakes and twisting them into spirals creates tons of flaky layers to trap in cheese and juices from the beef. Prepare the Extra-Flaky Scallion Pancakes and set them aside on paper towels to absorb excess grease. Top 2 of the 4 scallion pancakes with bulgogi meat and cheese, and leave the other 2 bare. Heat a nonstick skillet over medium heat, then put 1 topped scallion pancake in the pan. Top with a bare scallion pancake to close. Let cook until the cheese begins to melt and the bottom pancake has crisped up and browned. Flip and cook on the second side until all of the cheese is melted and the bottom has browned. Remove from heat, set aside, and repeat to make the second quesadilla. Drizzle the quesadillas with additional gochujang, if desired, and top with scallions and cilantro. Serve immediately. 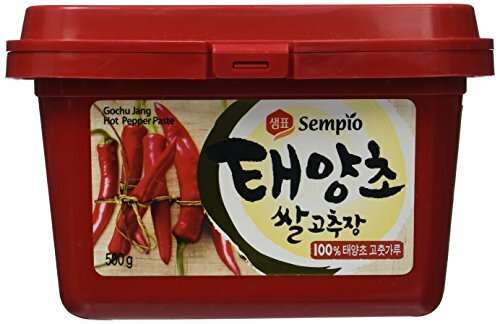 Gochujang is a mild Korean chili paste. It can be found in Asian markets or ordered online.